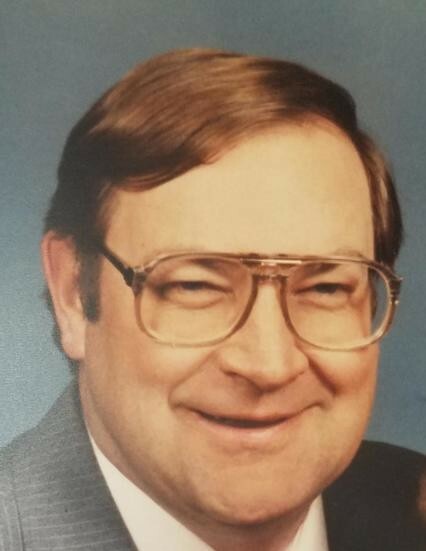 Wayne Schauer, age 71 of Arlington died on Saturday, February 2, 2019 at the Ridgeview Medical Center in Arlington, MN. Memorial services will be on Friday, February 8, 2019 at 11:00 a.m. at Zion Lutheran Church in rural Green Isle, MN. Visitation will be on Thursday, February 7, 2019 from 4:00 p.m. ~ 7:00 p.m. at the Kolden Funeral Home in Arlington, MN. Visitation will continue on Friday at church from 10:00 a.m. ~ 11:00 a.m. Military Rites will commence immediately after the services outside the church, followed by a luncheon in the church social hall. Wayne was born to Fred C. and Hilda (Reinitz) Schauer during a heavy snow storm at the family farm in Green Isle Township, Sibley County on February 7, 1947. Wayne was baptized and confirmed at Zion Lutheran Church, rural Green Isle, MN. He attended Zion Lutheran Parochial School in Green Isle Township and grew up in the Green Isle area. Wayne graduated from Arlington-Green Isle High School in 1965. He spent a year working as a carpenter before entering the United States Air Force in May of 1966. He was in Vietnam from November of 1968 and honorably discharged on November of 1969. Wayne also later served in the Minnesota National Guard from 1979-1980. Once he returned home he married Norma Lindemann on September 4, 1971 at Brownton, Minnesota. He worked for a while at Glencoe Manufacturing and was later with Hutchinson Technologies for 23 years, retiring in 2009. Wayne enjoyed working in his “shop” and making furniture out of wood and his time farming his small farm and acreage. He also enjoyed reading and going out to eat with family and friends. Wayne is survived by his wife Norma; Children; Harlan (Heidi) Schauer of Tallahassee, FL, Emily Kuphal and friend Brad Goetsch of Gaylord, MN and David Schauer and friend Alissa Fedie of Arlington, MN. Also, Granddaughter, Kaylea Kuphal and Sisters; Adeline Seay of Glencoe, MN and Linda (Glen) Plieseis of Arlington, MN. Also survived by In-Laws; Marilyn (Clinton) Rettig of Brownton, MN, Joan (Randy) Brockoff of Green Isle, MN, Larry (Edna) Lindemann of Arlington, MN and Fred Lobitz of Hamburg, MN. He is preceded in death by his parents and parents-in-law, Harold & Mildred Lindemann.